Add us to your team! We are proud to be an essential part of hundreds of human resources departments in Canada and Internationally. When you partner with Ad Vendors, it’s like hiring writers, media researchers and negotiators, graphic artists, quality control experts, and traffic, accounting, and budget managers. Think of Ad Vendors International as the ideal employee. That team member who is always ready to roll up their sleeves and work; never makes demands; is your “go to” person when you’re in a bind; always provides friendly support and expert advice; and knows how to tell a wickedly funny joke. 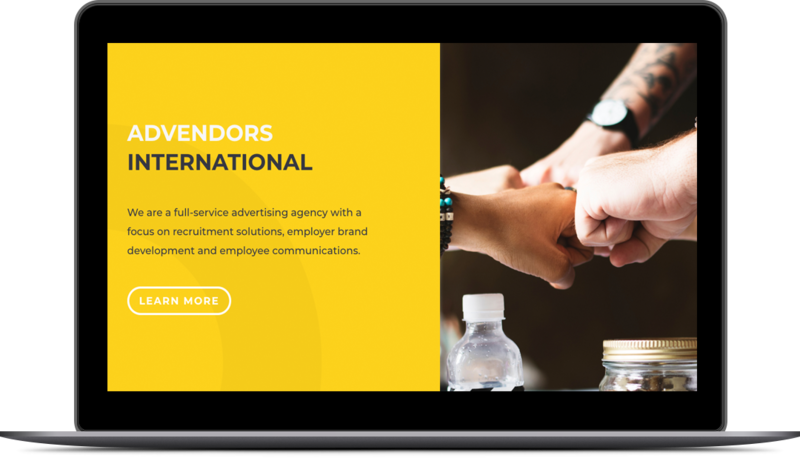 A full-service advertising agency focussed on recruitment solutions, employer brand development, and employee and corporate communications. We offer recruitment advertising, creative services, online communications, notices and internal employee communications.